Welcome to the 2018 DNA Innovation Contest hosted by Grow Utah! The contest was held Jan-Feb 2018 and was for new and innovative products or services that would improve the use of individual DNA data in the fields of ancestral history, personal history and family health history. The contest was to promote innovation, entrepreneurship and business growth in this field. Innovators across the world were invited to bring forward their best and brightest ideas to meet this challenge! 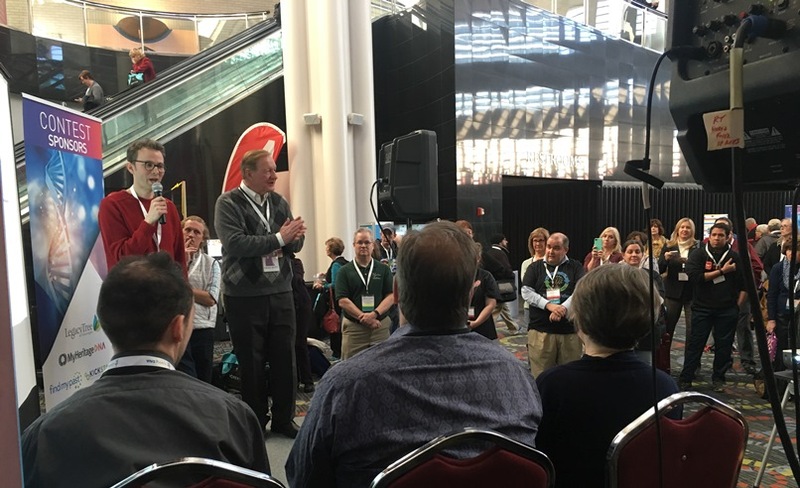 From among the applicants, 6 finalists were selected to pitch their innovations at the RootsTech Family History conference. The judges then picked 3 winners and the cash and service prizes were awarded! SCROLL DOWN to see the finalists, winners, and event pictures. Open to innovators, entrepreneurs, businesses and non-profits throughout the world* who have less than 50 employees. For new innovations that have been in the market (generating sales) less than 1 year. For innovations that improve the use and reliability of DNA methods and research in the fields of ancestral history, personal history and family health history. What Are the Key Dates of the Contest? Winners will be announced on February 28, 2018 at the Awards Ceremony held at the end of the judging and voting. Finalists Exhibit at RootsTech: February 28 through March 3, 2018. What is the 2018 DNA Innovation Technology Contest? Why DNA Technology Innovation? Why Utah? Utah is recognized internationally for its pioneering research in DNA and genetic genealogy led by the efforts and innovations of such leaders as James Levoy Sorenson. Home now to some of the leading DNA technology companies in the world, Utah continues to be one of the main centers for technical advancement in this field. Leveraging Utah’s leading expertise in DNA technologies, this contest fosters innovations that will improve the use of individual DNA data in the fields of ancestral history, personal history and family health history. DNA technology today is now more advanced, more accurate, more efficient and widely applicable across a range of markets and uses. In particular, DNA technology is helping break down genealogical brick walls for those pursuing ancestral research. This and the added prospect of improving personal health through global family insights made possible by DNA are astounding. Utah is the perfect place to host this contest and help expand this industry. Grow Utah, a privately funded 501(3)(c) non- profit organization is hosting and managing this contest. Dedicated to fostering innovation that drives entrepreneurship, Grow Utah’s key initiatives foster innovation to drive entrepreneurship in emerging technologies and applications that lead to significant business and job creation. RootsTech- a global multi-day family history event where people of all ages learn to discover, share and celebrate their family connections across generations through technology hosted in Salt Lake City, Utah. 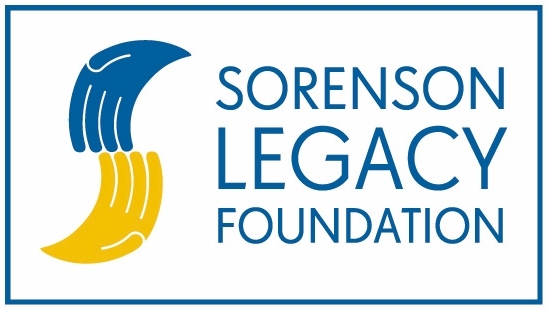 Sorenson Legacy Foundation- a non-profit corporation established by James LeVoy Sorenson and his wife Beverley for the purpose of promoting, among other things, scientific endeavors. Utah Science Technology and Research Initiative (USTAR)- a Utah state government organization which leverages science and technology innovation to expand and diversify the State’s economy. BoomStartup- a lean startup accelerator and mentorship-driven seed-stage investment program for technology-based startups. Why Such a Short Time Frame to Enter The Contest? But to be totally honest, the critical pieces of the contest fell together in such a positive way to create this very unique opportunity for all DNA innovators. With the prize funds, the invitation to exhibit at RootsTech and the generous support of our sponsors, we just felt we had to move forward and offer up this great opportunity to you, the innovators. So take a chance and give it your best shot. The contest is open to individuals who are at least the age of majority where they reside as of the time of entry; teams of eligible individuals; organizations (including corporations, not-for-profit corporations and other nonprofit organizations, limited liability companies, partnerships, and other legal entities) that exist and have been organized or incorporated at the time of entry, and employ no more than 50 people (Organizations). What Types of Innovations Are Sought? improve the overall usefulness and adoption of DNA based technologies and methodologies. How Advanced Must My Idea Be? This contest is focused on early stage innovations. Entries that are in the concept stage of development are most welcome. However, preference will be given to those entries that have proven their technical viability, validated customer interest, are in the proto-type stage of development and have a near term prospect of being introduced into the marketplace. How is the Contest Integrated with RootsTech? RootsTech’s premier family history conference and trade show will be hosted in Salt Lake City on February 28- through March 3 2018. 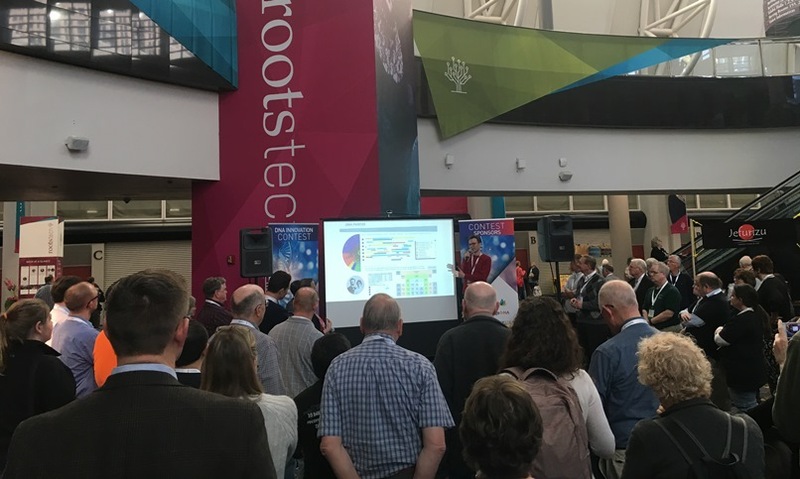 Dedicated to promoting innovation in genealogical technologies, RootsTech draws an international crowd of over 20,000 attendees. The DNA Innovation Contest judging and awards event will be held at the RootsTech exhibit hall on the opening night of the conference. In addition, finalists and winners of the contest will be provided with a complimentary exhibit booth at the Innovation Alley, which is a key part of the exhibit hall. 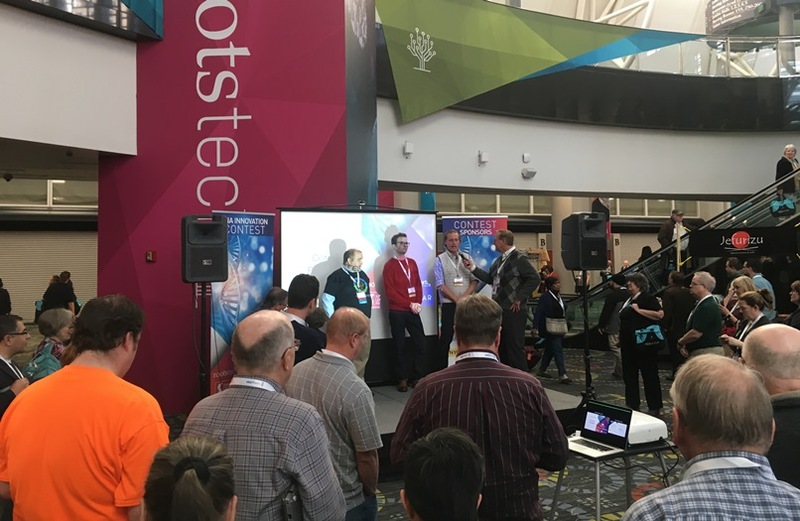 Aligning the contest with RootsTech enables the finalists and winners to introduce their innovation to a sizeable crowd of knowledgeable and potential users. How Is This Different From Past RootsTech Innovator Showdown Events? 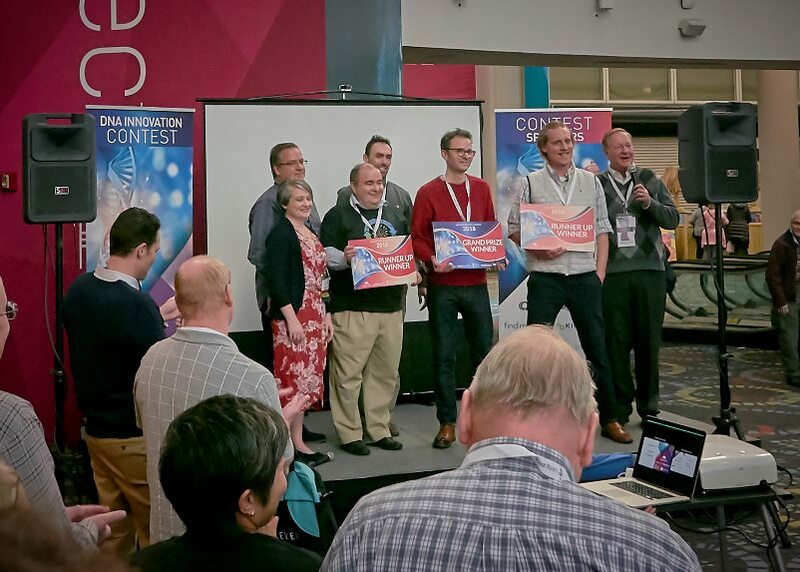 Over the last four years, RootsTech has hosted an Innovator Showdown contest that was a part of RootsTech. Grow Utah has supported RootsTech in this effort and helped manage and administer the contest all on behalf of RootsTech. This DNA Technology Contest is separate from RootsTech and is under the direction and management of Grow Utah. 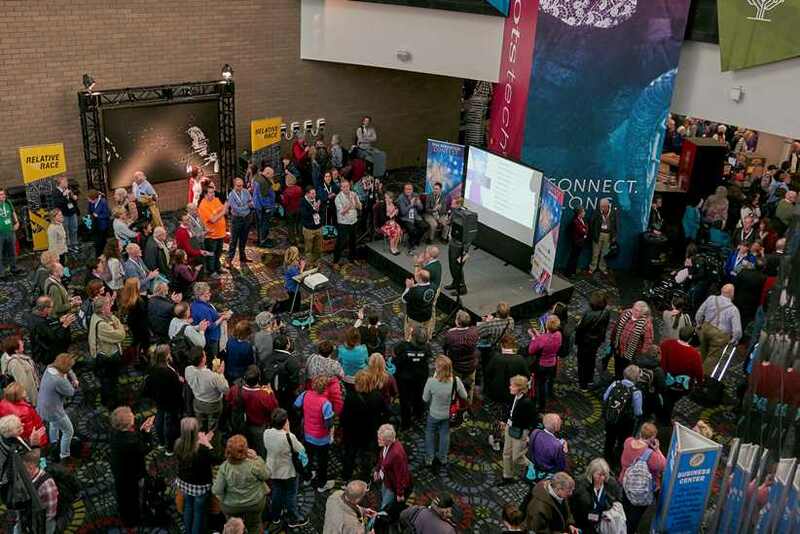 RootsTech remains supportive and encouraging of all innovation in the ancestral history field as reflected by their generous invitation for finalists to exhibit at their event and staging this contest at the RootsTech exhibit hall. Contest judges are drawn from both the DNA related industry as well as the startup community. Judges are experts in their field, knowledgeable of the practice and technology that are part of DNA operations and have in-depth experience in successfully transitioning innovations to commercial ventures. All entries will be initially screened by a set of judges selected by the Grow Utah and the sponsors. Some 8 to 12 entries will be selected as finalists and invited to present their inventions/innovations to a group of judges personally. Each finalist will present a table top display of their submission in a private group setting in a location to be designated at RootsTech on February 28, 2018. These presentations and evaluations will be somewhat informal but will go beyond the responses to the questions initially submitted as part of each entry. All aspects of the invention, innovation or business idea will be open to examination by the judges. Based on their evaluation, the group of judges will select three winners. The three winners will each make a short presentation to a final panel of judges. This presentation will be made during the public awards ceremony at RootsTech on February 28. This panel will select the final Grand Prize Winner and the other two will receive the Runner-up award. How Many Finalists and Winners will be Chosen? Some 6 to 10 entrants will be selected as finalists for the contest. From this field, three winners will be selected- a Grand Prize Winner and two Runner-Up Winners. What is the Prize and What Can I Do with It? The Grand Prize Winner will receive a cash check in the amount of $15,000 US. In addition, in-kind business advisory services will be provided by Grow Utah and BoomStartup up to and not to exceed $10,000 in value. The two Runner-Up winners will each receive a cash check in the amount of $7,500 US. In addition, in-kind business advisory services will be provided by Grow Utah and BoomStartup up to and not to exceed $5,000 in value. The cash prize is yours to spend on any legitimate expense related to advancing your innovation and launching your business. What Business Advisory Services Do I Get? Grow Utah and BoomStartup will provide the in-kind business advisory services. These services will be tailored to the stage of development for each winning innovator. In general, the innovators will be advised in how to successfully launch their business. Some of this service will be provided through on-line learning modules and video conferencing with the innovators. Do I Have to Come to Salt Lake City to Win?. 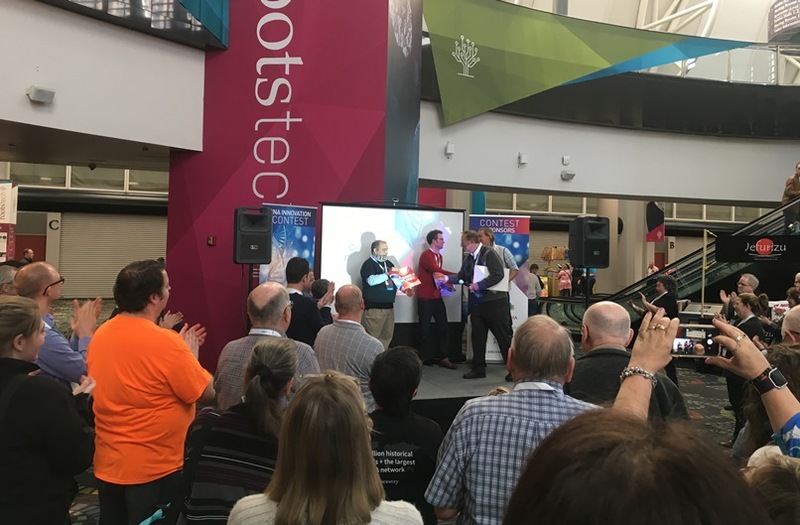 All finalists will be required to be present at RootsTech in Salt Lake City, Utah in order to be eligible to win a prize. The judging of the contest finalists will be conducted in person by the judges and of course the exhibit booth is reserved for those who are on site. Finalists will need to make their own arrangements and cover their own costs to be present. Purchasing a RootsTech admission ticket is not required to enter the Contest.